Be Washington is a first-person interactive leadership experience. Come face to face with challenges that George Washington confronted as commander in chief or president in four key scenarios. Do you have what it takes to lead like George Washington? Two versions are available: hosted and single player games. The hosted game requires a main (host) screen and individual devices to play. The host can control the pace of the game by playing and pausing the scenario. Each individual device will have access to advisors and the ability to vote on the final decision. Votes for each specific session are compiled and displayed on the host screen, in addition to all-time results. The single player game includes the complete scenario, advisors, and all-time results. Be Washington can be played in two ways. Find out if your school's computers and network support Be Washington. Full lesson plans for each scenario will be available to enhance classroom learning. Lesson plans include background information, timelines, graphic organizers, and full primary sources. The advisers represented in the Be Washington experience are all based on real-life historical figures from the first president's cabinet, military leaders of the Revolutionary War, and more. 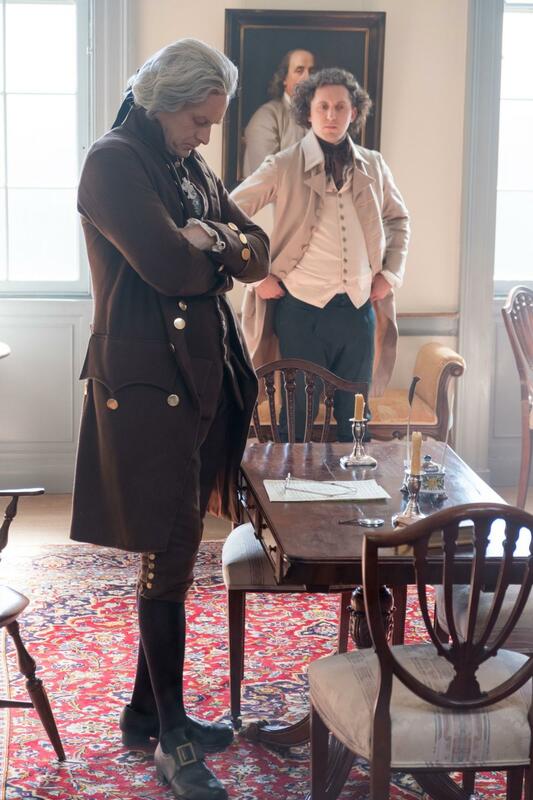 Learn more about these members of George Washington's most trusted inner circle. Online mode, using any web browser. Use our speed test to find out if your school's computers and network support Be Washington web play. Local mode, by downloading an app for iOS or Google Android devices. Are You Ready to Be Washington?